Is a menthol flavored eliquid not quite minty enough for you? If mint is your craving, then don't hesitate to try our Mentho-Mint eliquid on for size. This cool blast of menthol and mint is one of the smoothest flavors around and will have you craving the rush from its icy vape in no time at all! And, the billowing vapors from our VG liquid base will set the perfect setting for your most relaxing vapes. Have you tried our menthol flavor? How about mint? Why not try them together and get the best tasting mint sensation on the market! Mentho-Mint is great for smokers who are switching over from heavy branded menthol cigarettes and don't want to lose that extreme menthol flavor. 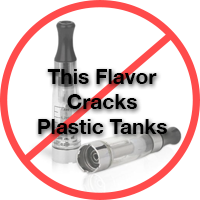 Now, if you've decided to drop the analog, you don't have to drop the flavor as well! Let us know what you think of our mintiest, coolest eliquid yet. I stay with this flavor it's the only mento mint that i like and i've tried all my local shops so i still order online. Thanks you Jennifer for helping with my order that the USPS. miss placed and started another one on the way. I've been a non-smoker for about 6 years thanks in part to this e-liquid. I never smoked menthol cigarettes but this is truly as comforting as Ma rubbing Vapo Rub on my chest as a child. (Almost)! Half of my addiction to cigarettes was the physical act of drawing something into my lungs. Now my brain is satisfied and my PO2S (Pulse Oxygen) levels are that of a non-smoker! Best Menthol e-liquid I have ever tried. Great and fast shipment. Very refreshing mint taste that has helped me switch from smoking to vaping nearly overnight, great throat hit, smooth fast and overall great company to buy from. This is my all day go to liquid and is by far the best in my opinion. This is a great company! They stand behind their products! I always use them for my vapes and will continue to use them, I refer them to my friends also! Fresh and easy to take. I never smoked menthol cigs but this is nice. Feels like the old mentho rub chest cold remedy when a child. Comforting. This is the one and only e-liquid that i use! Used to have to go to one specific store and pay loads of cash for it! Happy we found it online! The mint additive seems to smooth out the menthol a bit which I love. This liquid is very cooling and has a nice taste. Great for the hot weather or anytime you are in the mood for a fresh tasting vape. I smoked Pall Mall menthol, full flavor. This vape is right there. Ameliq provided quick, professional service. Only negative is it's pricey.